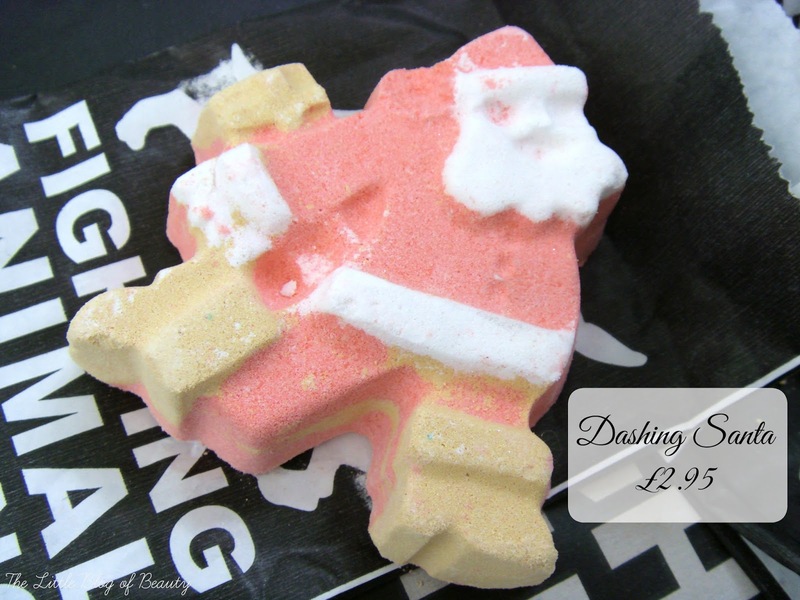 I'm sure you're probably aware by now that Lush have recently released their Christmas range. If not, who are you and where have you been?! I recently popped into a Lush store on a Saturday, which really wasn't a great idea, but I did manage to battle through the teenage girls to get an arm through to the bath bombs and I grabbed five to try. 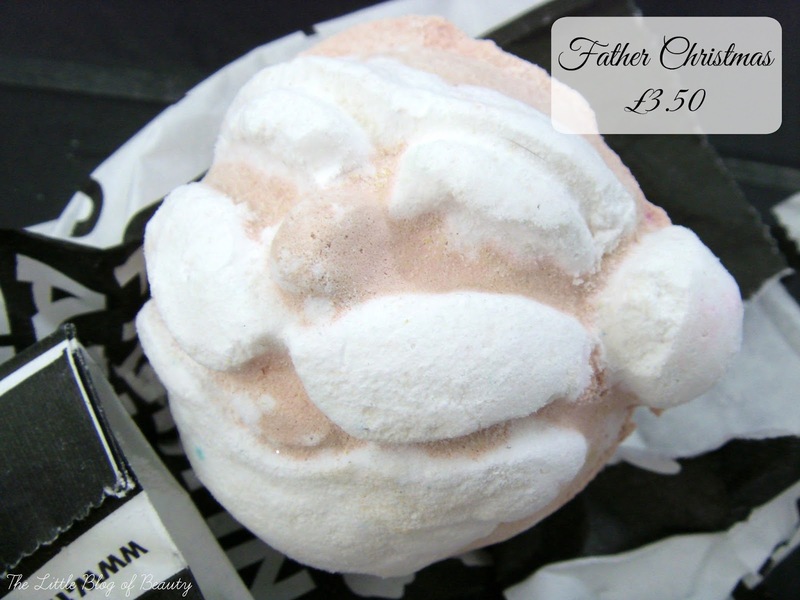 I haven't actually used any Lush bath products for several years now as I think they can be a little expensive, but I decided to treat myself and the Christmas range just looks amazing. Here's what I went for. Dashing Santa is a smallish flat shaped (as in it's not round or ball shaped) bomb that looks like a running Santa. Although Santa only works one day a year he has a lot to do in that one day so I would imagine he definitely dashes around the world delivering all those presents. This one contains mandarin and bergamot oil, orange flower absolute and smells like satsumas. It also contains snowflake and radiant gold lustre, which I had to google, and discovered these are edible fine powder icing used for colouring. Father Christmas is a large bomb but then this is reflected in the price as this one is quite expensive at £3.50. I know you can break up some of Lush's more expensive bath products to use in more than one bath but I'm not sure you could do that with this one. You could try giving him a crack on a hard surface (could you really do that to Santa??) but I'm not sure if he'd just crumble. This one doesn't have any oils in, so it may not be a skin softening one, but it will turn your bath bright red, followed by vivid green and will smell like Snow fairy. Cinders is a small bomb that has been inspired by sitting next to a fireplace with friends and family. It contains almond, sweet orange and cinnamon leaf oil, sea salt and also popping candy. This one is supposed to be sweet and spicy so might be like bathing in one of the spicy cinnamon Christmas candles, but obviously without the hot wax! So white is another large bomb and isn't much to look at as it's just plain white, but when it starts to dissolve it does have a rosy centre. 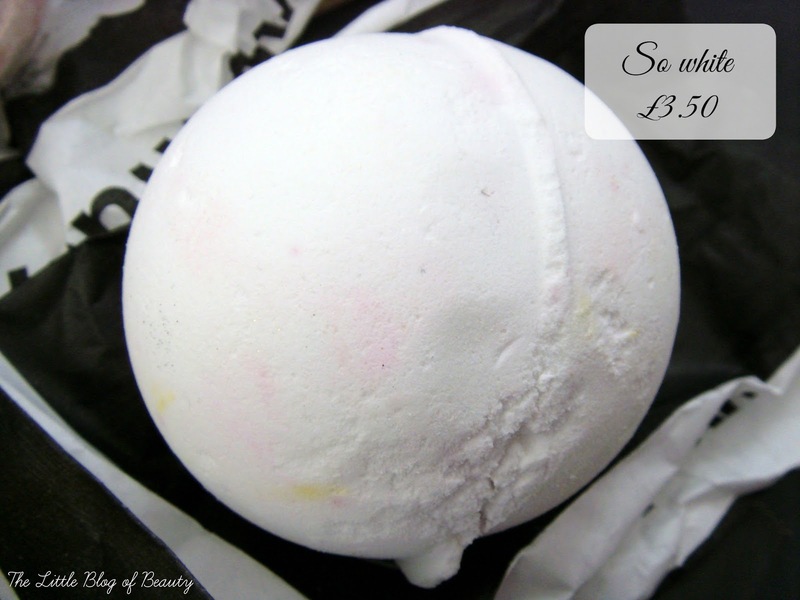 This contains bergamot and neroli oil, rose and orange flower absolute and smells of apples. Again I'm not sure if you could break this down to use in more than one bath. Mine has actually started to crack on one side, so I could probably pull it into two halves if I wanted, but I don't really want to spoil the surprise of what's inside and kind of just want to chuck the whole lot in. Also the apple smell from this is so amazing I don't really want to dilute it by using less. Finally, Butterbear is the cutest little thing. It's plain white like So white but is in the shape of a bear and it should really have a little brown nose, but I think mine has been knocked off. 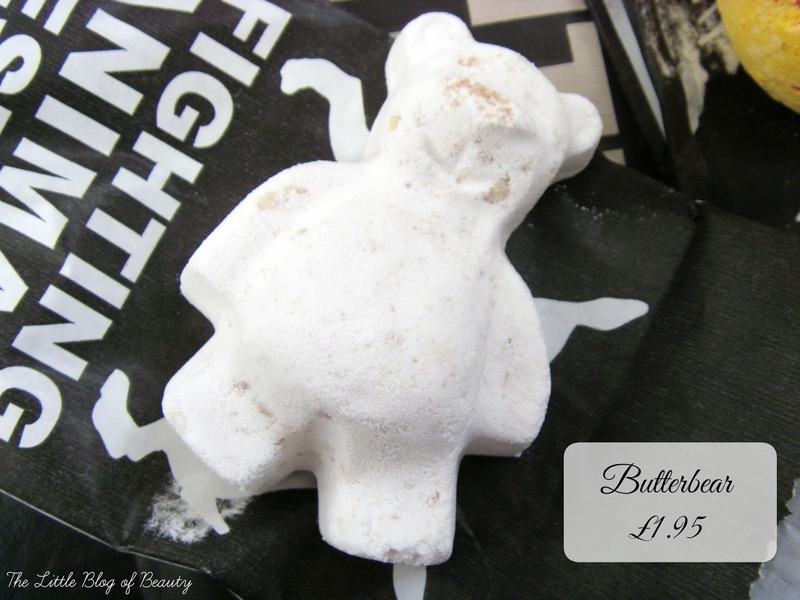 This has the same vanilla fragrance as Butterball and contains fair trade Colombian cocoa butter, ylang ylang oil and cocoa powder. The cocoa powder is making me hope it might smell slightly chocolatey, but as far as I'm aware it doesn't. I think this is the one I'm looking forward to using the most and if I love it I really don't mind as this one is just £1.95. Obviously I haven't actually used any of these yet but I will post about each one as I get through them. 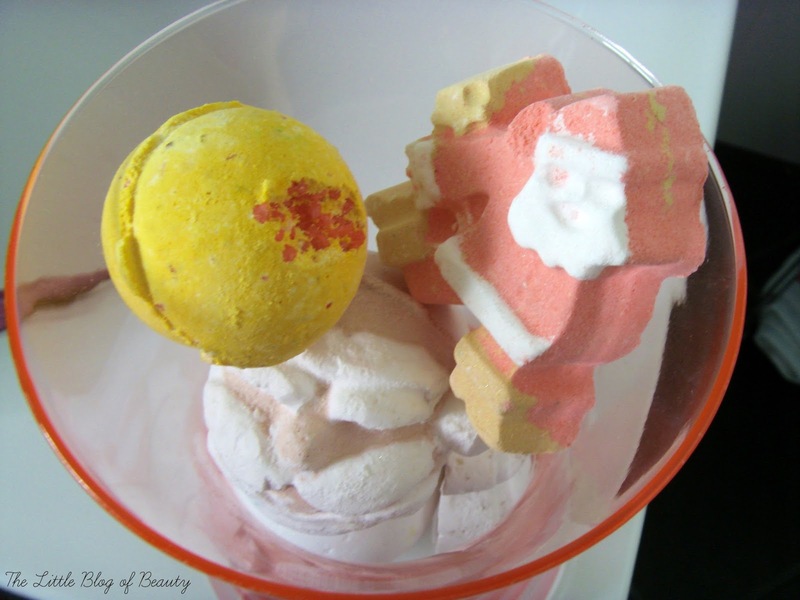 Have you bought any of Lush's new Christmas range? I need to pick up the Butter bear! It's so cute and for less than £2 it's definitely one I won't feel guilty about treating myself to! Dashing Santa is amazing! I've been waiting for the Santa Sumo scent to return for years! Which one is your fav? Great haul, I have the Dashing Santa as well and can't wait to try it! 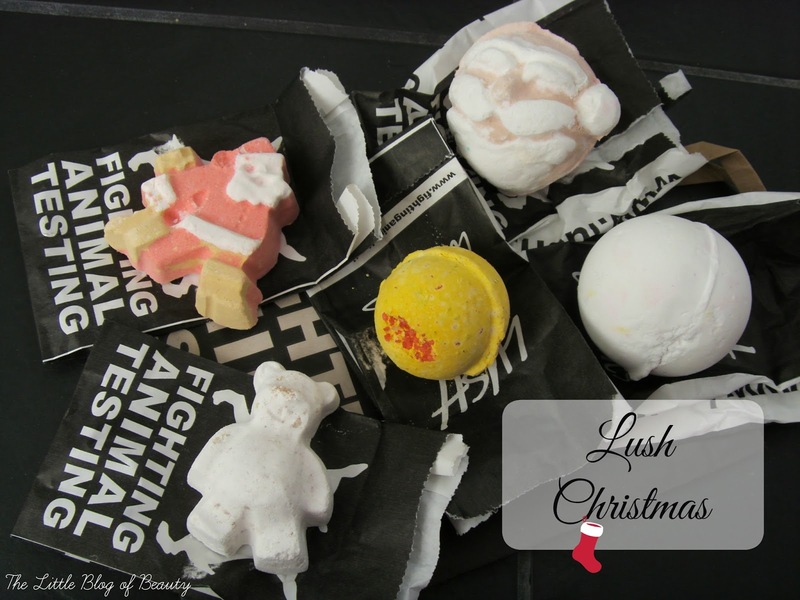 Lush at Christmas is just the best! The Butterbear looks so cute :) I have a huge list of Christmas stuff I want from there this year. 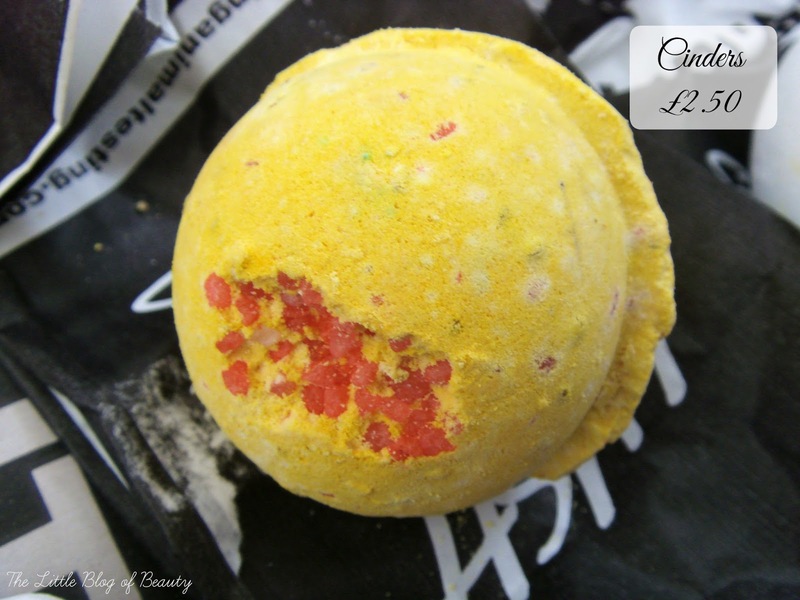 i love LUSH products, they are great for a little pampering! I really need to visit Lush, all of these look so good! !